A few months ago i found out about a coffee company which is both veteran owned and a supporter a number of military charities, something which being a veteran myself is important to me provided they supply a quality product at a price that is fair. While the coffee is slightly more expensive than the Maxwell house French Roast that i usually drink it is worth the cost, they also have some very tasty hot chocolate mixes for those of us who don't like super sweet beverages. We are a vet owned and operated company dedicated to our military, our veterans, and those who support them. We were founded in 2010 by LTC(R) Carl Churchill, a combat veteran with 21 years of service as both an enlisted soldier and officer. From the start, Carl wanted to create a different kind of company guided by the principles he lived by… work hard, do good, give back, and make it fun. In founding Lock-n-Load Java, he committed to organizing and running the company based on the experiences that a lifetime of service leadership in the military taught him… while ensuring the fun and camaraderie he experienced in the military remained a core part of the company as well. 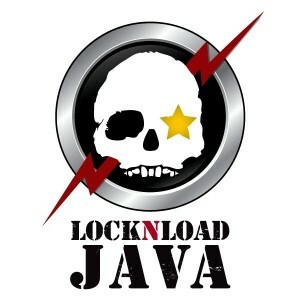 Lock-n-Load Java is made up of like-minded individuals who support this vision. All have committed to being part of a company that consistently provides outstanding, top grade premium coffee and serves its community of customers, its employees, and its suppliers with dignity, respect and integrity. On to the details of the coffee now and i'm going to start with what is both my favorite and one which i will be purchasing from them whenever funds permit in the future. Charlie Don't Surf is their Kona blend and in my opinion the best tasting coffee I have tasted. It has a strong but smooth and rich taste without the excessive oil and bitterness that strong coffee can sometimes have. As far as I am concerned Charlie don't Surf makes a perfect cup of coffee. Their Armory Select Hazelnut Cream is also a great tasting coffee being just as strong as the french roast I usually drink but with a rich nutty flavor even without sugar, although according to my wife just a little sugar makes this coffee better than any of those fancy latte's that Starbucks puts out. The Warrior Select Medium Roast is likewise a very good coffee with a strong but smooth and slightly smoky flavor that tastes great either black or with just a little bit of creamer although I preferred to make it with four scoops rather than the recommended 3 as I prefer strong coffee. The Task Force Zulu Single Origin "Costa Rica" coffee is in my opinion their second best tasting coffee and one which tastes so good even brewed as strong as I like my coffee that no sugar or creamer is even needed to enjoy it. Both the Armory Select Vanilla Nut and Armory Select Southern Pecan blends are delicious with or without sweeteners as they both are strong coffee's with a rich nutty flavor that is only enhanced by a small amount of sugar. As a result these and the Hazelnut Cream are great for a treat or as a dessert coffee. Their strongest coffee is the Double Barrel Black Dark Roast and in spite of it's strength it remains both smooth and tasty and for those of us who like strong black coffee this is nearly as good as the Kona and Costa Rica blends. Both the Task Force Zulu "Papua New Guinea" and Task Force Zulu "Ethiopian" have good strong flavors although as far as flavor there is not much to mention. They simply taste like good coffee. On the other hand I found both the Task Force Zulu "Rwanda" and Double Tap Special Reserve to be strong which is good but also very bitter, something I personally am not a fan of. As to the hot chocolate mix I'll let my son tell you what he thinks. My wife and I also enjoyed it and will be purchasing it again in the future as it has a rich chocolate flavor without being cloyingly sweet like so many hot chocolate recipes available. Awesome I love lock-n-load java. Go check out Four Guys Guns, MilSpec Monkey, Willy Pete Tactical Designs and Monderno. They are all great companies and most of them are Veteran owned and operated.